Econo Lodge Napier offers air-conditioned accommodation just 50 metres from the beach, a short 5-minute drive from the downtown Art Deco district and 1 km from the West Quay Restaurant District. Scenic Hotel Te Pania enjoys a waterfront location on Marine Parade, overlooking Hawkes Bay. It features a restaurant with indoor and outdoor dining, and rooms with floor-to-ceiling windows offering beautiful sea views. Guests enjoy free WiFi. 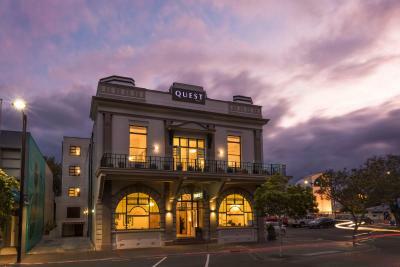 Quest Apartments are located in the heart of Napier, just 5 minutes’ walk from the waterfront and Marine Parade. Built in 1919 and refurbished in 2009, this historic property offers self-contained accommodation with satellite TV and a DVD player. 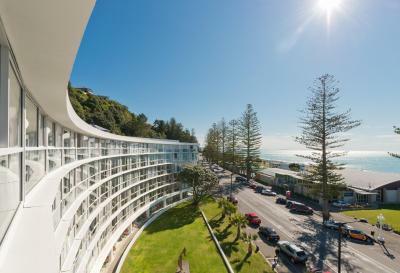 Located in the centre of picturesque Napier, this luxurious 5-star hotel is located in the center of the Art Deco Precinct. Offering a swimming pool, free WiFi and self-contained accommodation all with air-conditioning and access to free parking, Sundowner Spanish Lady Motel is located 5 minutes from Napier City Centre and popular beaches. Fern Motel is situated just 5 kilometres from Napier’s centre. It offers modern apartments with kitchens and free Wi-Fi. Facilities include an outdoor swimming pool and a garden with barbecue area. Albatross Motel offers affordable accommodation overlooking the Ahuriri Estuary Reserve, a short walk from the beach. The motel is also within walking distance of the popular bars and restaurants of Napier’s marina. 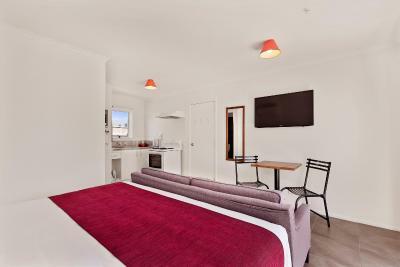 Located in the Napier suburb of Taradale, 4.5 star ASURE Colonial Lodge Motel offers apartments with free WiFi and a fully equipped kitchen. Guests enjoy a hot tub and a heated swimming pool with a water slide. 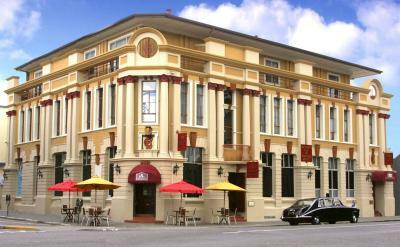 Bella Vista Motel is just 3 minutes’ walk to Napier’s town centre and Marine Parade. All rooms enjoy satellite TV and 1GB of free WiFi per day. Free onsite parking is offered. Rooms at Motel Bella Vista include electric blankets and toasters.